Marin Made is a place to make your ideas a reality. By combining traditional tools and techniques with state of the art technology we can create anything you can imagine. As makers and humanitarians, we promote passionate creativity, and civically engaged entrepreneurial thinking. The Marin Made education space is geared towards kids, adults, and creators of varied experience levels. Whether you want to learn a new skill or master an old one, come learn, explore, and grow with us! Join our mailing list and be the first to know about upcoming classes and events! 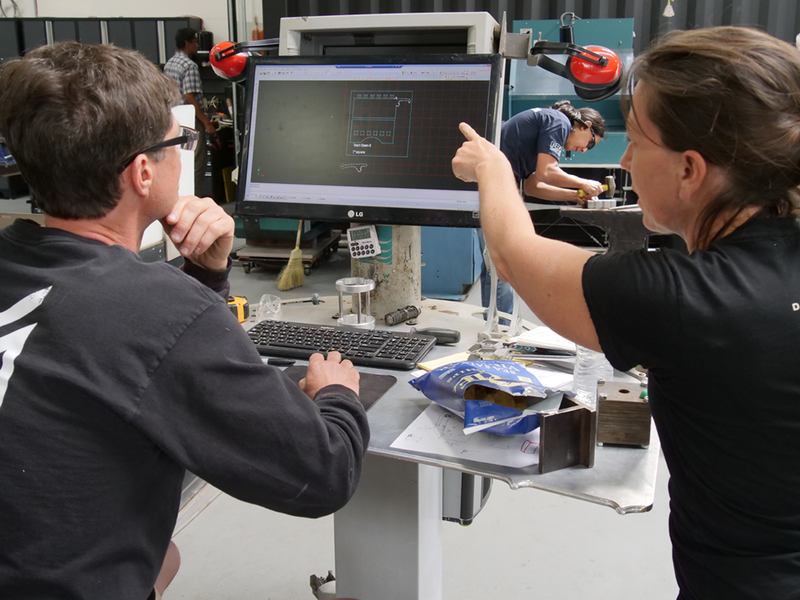 Marin Made is seeking skilled instructors for our welding and machining classes. If you are excited to share your knowledge and enthusiasm for milling and welding please apply!